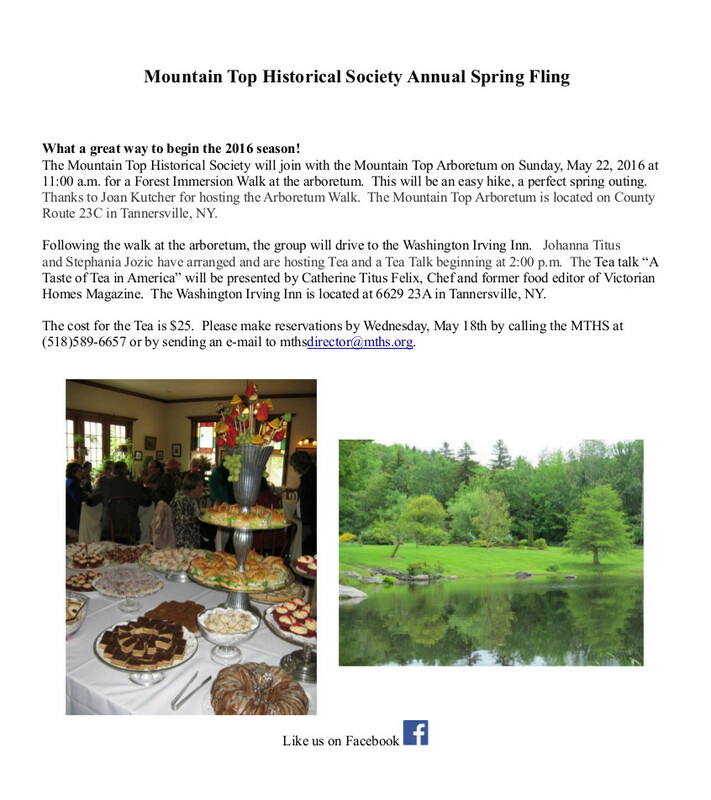 In response to a question about the Grand View Hotel, I found this article by former MTHS president Justine Hommel. 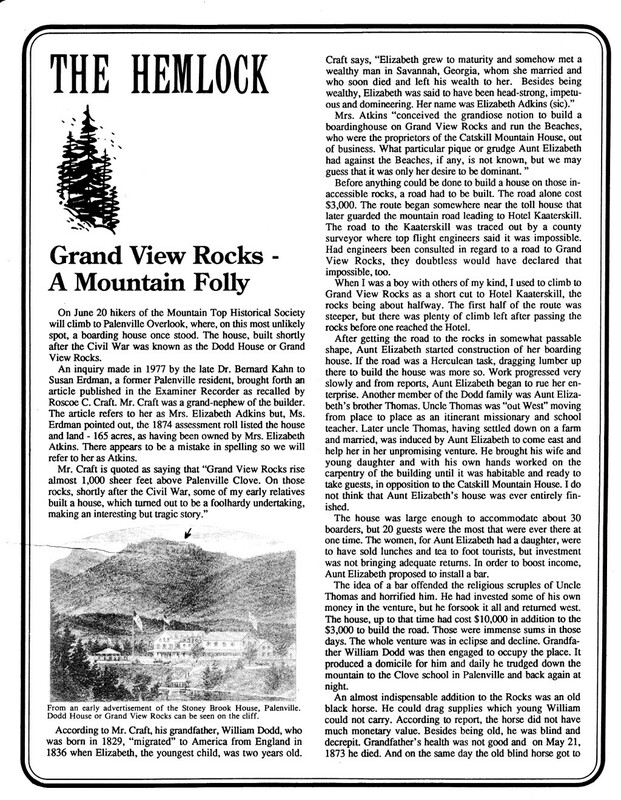 The article originally appeared in the Spring 1992 issue of the Society's newsletter, The Hemlock. What do we call the Creek from South Lake? Within the past few months I've had a number of people ask me the name of the creek that flows from South Lake, joins a second creek just before it plunges over Kaaterskill Falls and then cascades over Bastion Falls (and Terrace Cascade) until it and the creek that drops over Haines Falls merge in the depths of Kaaterskill Clove. The immediate answer is that the creek is Spruce Creek. People who know me or are familiar with my 2005 book Catskill Mountain House Trail Guide, will not be at all surprised to find that my answer has not been Spruce Creek. Nevertheless, who am I to dispute the United States Geologic Survey or the U. S. Board on Geographic Names? The question of the name of Spruce Creek has been settled, modern Greene County Highway maps clearly show it as Spruce Creek, and I'll agree to go by the decision. But why has it been a question among local residents, authors, and map makers? What other names have been used, and what were some of the sources of those other names? Since the 19th century there has been no disagreement that Spruce Creek starts on North Mountain, flows South. It crosses North Lake Road (County Route 18) and flows between Laurel House Road and Schutt Road until, just east of the site of the Laurel House, it joins the creek from North-South Lake. 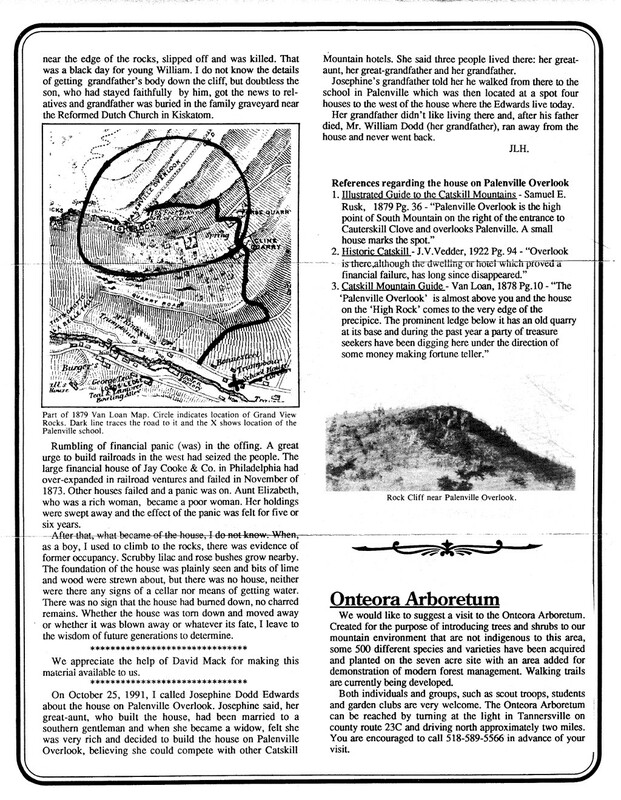 That section is shown as Spruce Creek on USGS maps, and 19th and 20th Century trail maps. Trail Guides and travelogs call it Spruce Creek more or less consistently and have so for over a century and a half. But once it joins the creek from South Lake the agreement ends, and in most historic cases the name 'Spruce Creek' does not appear downstream from that confluence. So if the stream wasn't referred to as Spruce Creek, what was it called? There are two candidates: first the east or main branch of Kaaterskill Creek and second Lake Creek. There is ample evidence that both names were used in the 19th and 20th centuries. Midst greens and shades the Catterskill leaps. Again, it's the stream, and therefore the Catterskill (we won't quibble over the spelling) that leaps. [T]he Katerskil … which rises in the lakes on South Mountain and flows through a channel down one of the grandest gorges in all this mountain region. As it descends it makes several falls and cascades of rare beauty and grandeur. The most noteworthy of these are Haines Falls, where the waters of the West Branch of the Katerskil dash over a precipice 150 feet high, and the Katerskil Falls where the east or main branch of the stream comes over two falls a few yards apart, the first being 175 feet high and the second 80 feet. On Sunday, September 27, 2015, Jim Sterba will appear at the Ulster and Delaware Train Station on the Mountain Top Historical Society campus at 2:00 p.m. to discuss and sign his 2012 book, Nature Wars: The Incredible Story of How Wildlife Comebacks Turned Backyards into Battlegrounds. 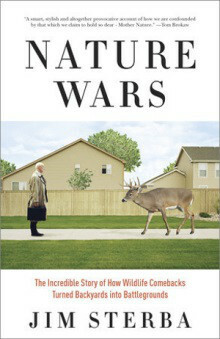 After more than three decades as a foreign correspondent, war correspondent, and national news reporter for The New York Times and then The Wall Street Journal, Sterba turned his attention to the conflicts that occur as Americans struggle to define their relationship with the wild animals who share their habitat. Kirkus Reviews states “Sterba provides a summary history of the wilderness colonists found, the replacement of the great Eastern forest with farmland, and the market-driven extermination of wildlife through commercial hunting and trapping.” He further documents the problems that humans have with each other and with the many animals that have made their way back to populated areas as re-forestation has advanced. Mark your calendar now and look forward to a lively discussion as Jim Sterba presents “an eye-opening take on how romantic sentimentalism about nature can have destructive consequences.” (Kirkus Reviews)The MTHS campus is located in Haines Falls on NYS rt. 23A. The presentation will be followed by a reception and time for book purchases and signing.A $ 5.00 donation is suggested. A Thank-you to Walt Johnson!